Get a $500 Pre-Paid VISA with your Purchase Until October 31, 2018. Register Now to Get This Offer. Enter In Your Information Below To Receive Offer. Disclaimer: One pre-paid visa card per purchase. Finance and Lease offers on approved credit. Regional offers, lease and finance conditions apply. See your local Kia dealer for more information. 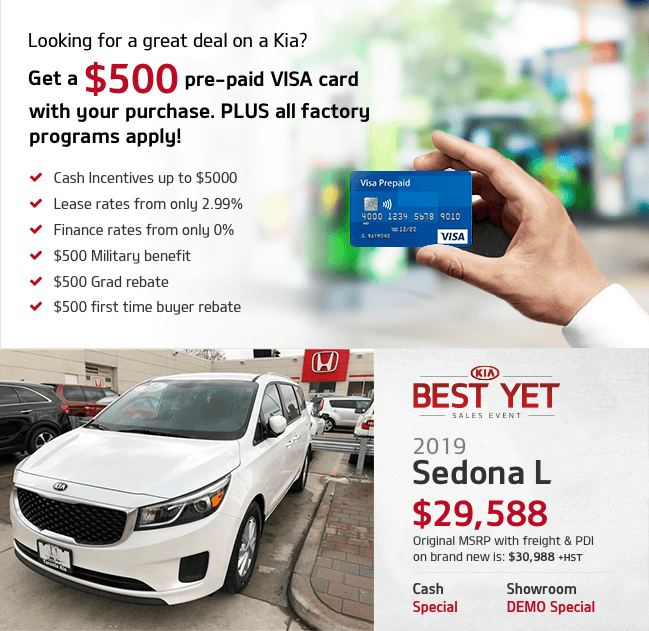 Use of any calculation and/or tools on torontokia.com does not constitute an offer of direct financing or any particular lease, finance, purchase option or transaction. Calculation and tools are intended for illustrative purposes only. Rates and requirements may vary depending on credit worthiness. 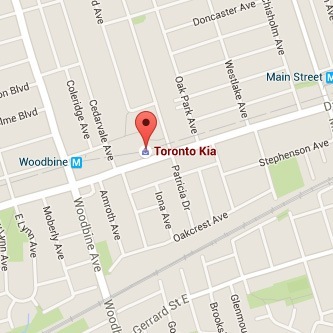 Every effort is made to ensure the accuracy of the content on the pages on torontokia.com. In the event of a discrepancy, error or omission, vehicle prices, offers and features as established by Kia Canada and participating Kia dealers in Canada, will prevail.